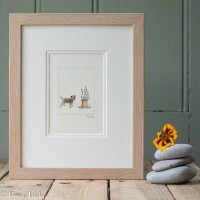 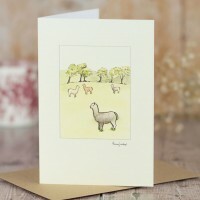 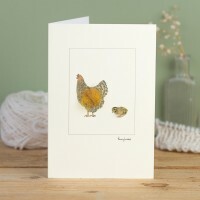 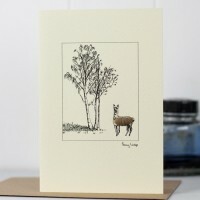 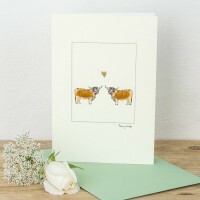 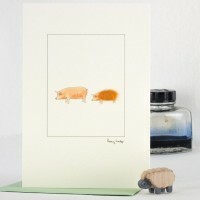 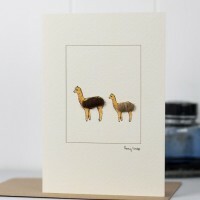 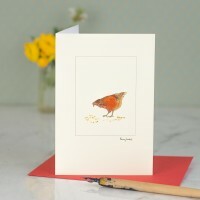 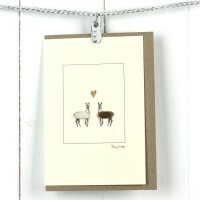 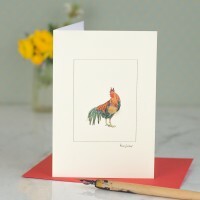 You can find a wide range of farm animal card designs in this section. 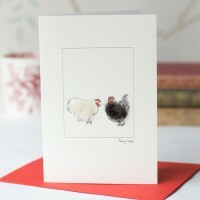 Choose our cockerel chicken card for your chicken loving friends. 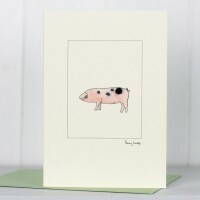 It's so adorable with the flu.. 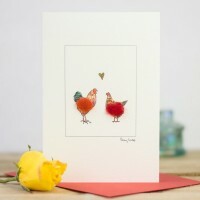 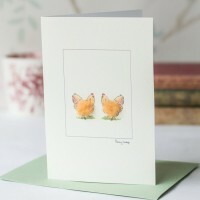 Choose our little red hen chicken card for your chicken loving friends. 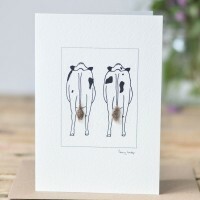 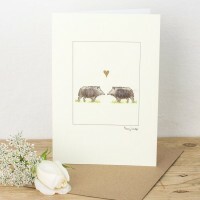 It's so adorable with t..
Two Cows Card Our two cows card is a lovely card for men and farmers, and for any cow lowers! 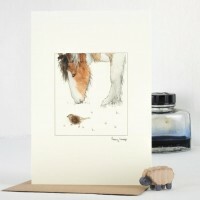 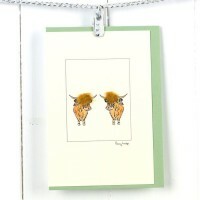 T..
Highland Cows Card A beautiful handmade greeting card featuring two Highland cows, complete .. 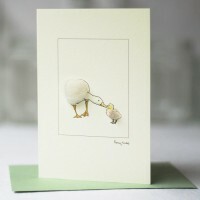 This is a beautiful goose & gosling card. 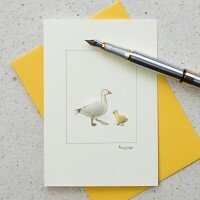 It features a loving goose with her gosling. 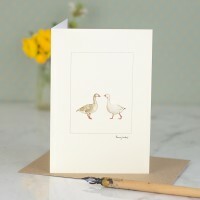 A perfect..
Our goose card with a pair of greylag geese is a perfect card for country lovers and small holders.T.. 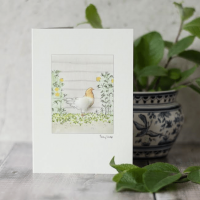 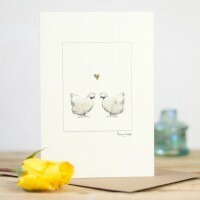 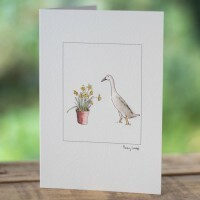 This is a beautiful snow goose & gosling card. 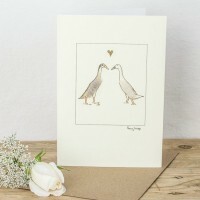 It features a loving goose with her gosling. 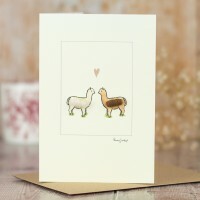 A pe.. 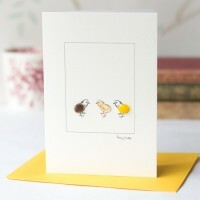 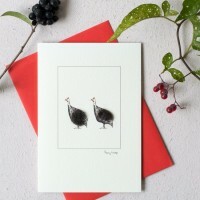 Guinea Fowl Card This is our handmade Guinea fowl card. 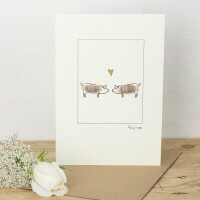 It features two fluffy guinea fowls, whic..
British Saddleback Pig Card From our range of rare and ancient breeds card, a British Saddleback ..
Gloucester Old Spot Pig Card From our range of rare and ancient breeds cards, a Gloucester Old Sp..
Tamworth Pig Card From our range of rare and ancient breeds cards, two Tamworth pigs. 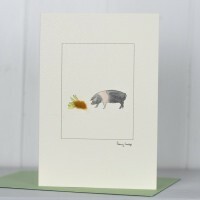 Our Tamwort..